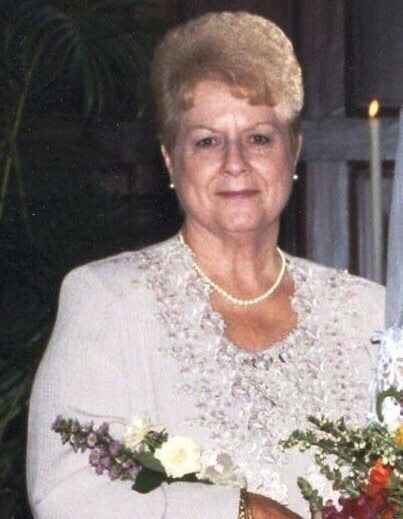 Obituary for Frances Virginia (Broy) Roth | Gaschs Funeral Home, P.A. Frances Virginia (Broy) Roth, 93, left this life on the afternoon of January 19, 2019 to be with the Lord and her beloved husband Bob. After courageously battling numerous chronic disease conditions, she passed away peacefully at home in Greenbelt, MD. Born August 12, 1925, in Washington, DC, she was the second of six children born to Virginia and Addison Broy. She grew up in Hyattsville, MD, attended Edmonston Elementary and Bladensburg High School, and married Robert "Bob" Eugene Roth April 2, 1943. She is survived by her two children, Sandra Starcher and Robert, Jr.; her son-in-law, Tom Starcher, grandson Robert Starcher (Kari) and great grandsons, Gavin and Brent Starcher. She was preceded in death by her parents, her beloved husband, and her five siblings, Elsie Walker, Howard Broy, James Broy, Shirley Smythe, and Helen Payton. Frances loved her family and loved animals including her two St. Bernards, Barney and Brandy. Her two children were with her at her time of death. Frances had been a member of the Greenbelt American Legion (Post #136) Auxiliary since 1978. One of the stated highlights of Frances' life was spending summers in Germantown with her aunt and uncle, Helen and Alfred Spates. It was there that she developed a friendship with Barbara, a neighbor girl of the same age. They played together and Barbara's dad would often take the two girls out to restaurants to eat, to get ice cream, and to Washington Senators' baseball games. Barbara's dad was the great baseball pitcher Walter Johnson who was among the first five baseball players inducted into the Baseball Hall of Fame - - "He was the nicest man." At her request, the family will not hold a funeral service. She asked to be cremated and her ashes placed with those of her husband. For those wishing to remember Frances in some way, she asked that a donation be made to St. Jude Children's Research Hospital (www.stjude.org) or to a favorite charity.